Newspaper articles relating to Melbourne's water supply. 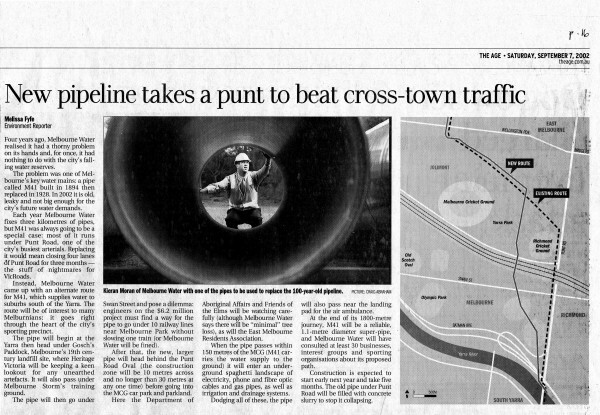 One explains the laying of new pipes under Yarra Park. 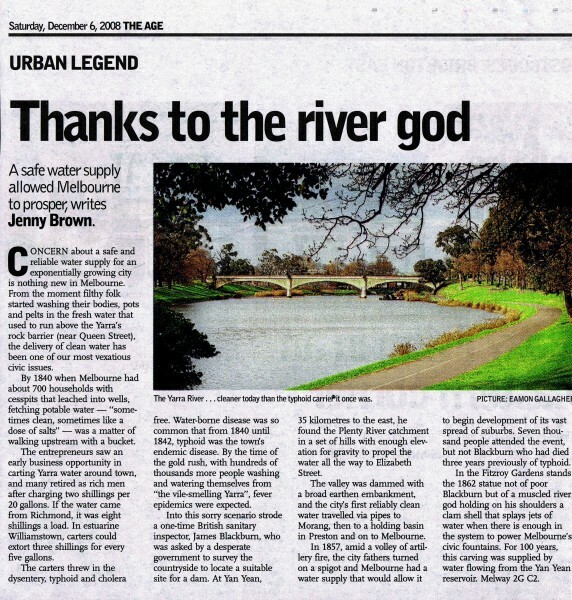 Another tells of the background to the building of the Yan Yean reservoir. 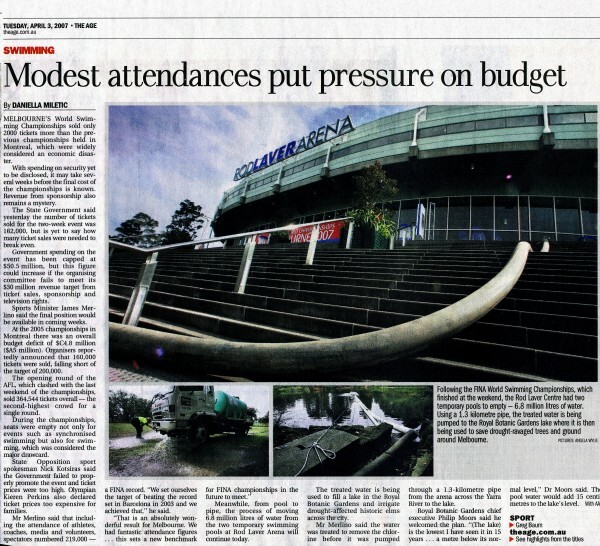 Another reports on the recycling of water used when Rod Laver Arena was converted to a swimming pool for the World Swimming Championships. The water was afterwards piped to the Botanic Gardens lake. Photos.